Nevertheless, Jack and Libby are still enjoying their panoramic views from both their spacious casita and their tandem bicycle saddles. MEET JACK AND LIBBY MELVILLE, TANDEM CYCLISTS WHO RIDE THE LOOP FROM THE FOUNTAINS DOWNTOWN TWICE A WEEK. Jack and Libby met in high school in Chicago and raised four kids in Rochester, where Jack worked for Xerox. They moved to Sun City Oro Valley in 1997, participating faithfully in hiking, cycling, square dancing and bridge clubs. 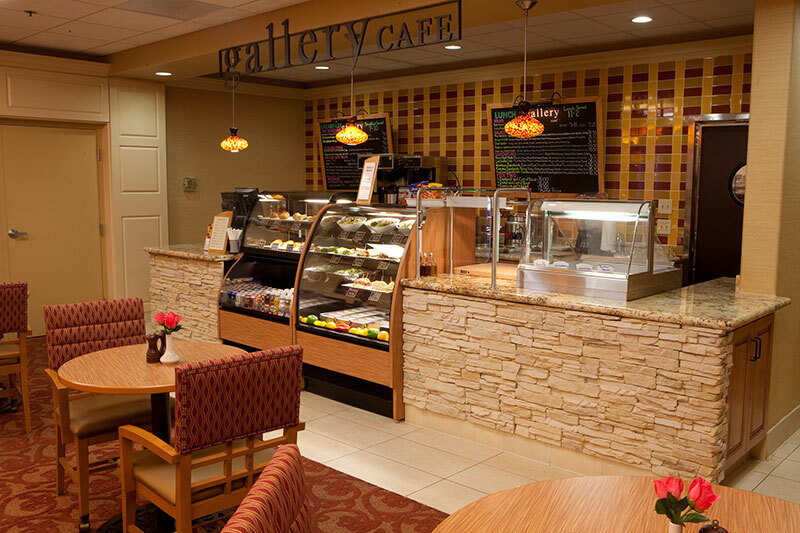 They recently celebrated their 65th wedding anniversary as residents of The Fountains at La Cholla. 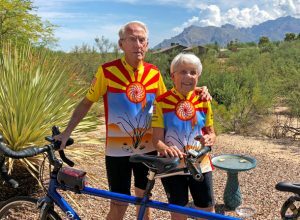 Twice a week these vigorous 87-year-olds ride their tandem bicycle 30 miles out and back on the Loop, which is accessed just down the hill from their two-bedroom casita at The Fountains, their home since 2017. Since taking up the tandem in 2002, they’ve accumulated about 83,000 miles! Meet Jack and Libby over a drink in The Catalina Room or cappuccino in the Gallery Café. Just call 1-520-777-1413 to set up a time. Bring your questions and get honest answers straight from the source.